Pitbull looks as happy as a human can be in this photo he posted to Twitter today. 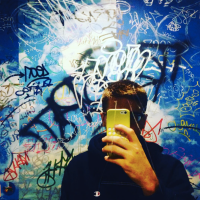 He is grinning so hard that the corners of his mouth are black caves as he flips his middle finger with one hand and holds a degree from Doral College in the other. So it's with great regret that we must rain on his parade: this is a fake degree from a fake college. "Alongside his professional achievements, which are well known around the world, his tireless devotion to his community and to improving educational access warrants this unique recognition," said Flores. "It is our privilege to award this incredible artist, businessman and South Floridian with this prestigious honor." Doral College is a non-accredited institution. All stu­dents should be aware that due to its current status students will not be eligible for financial aid, transfer of credits to other institutions, or to sit for profes­sional exams in career related fields. Miami-Dade public schools officials, who have watched the charter industry claim a growing chunk of taxpayer dollars, are less than enthusiastic. They have refused to authorize dual enrollment courses and have criticized both the value of a Doral College degree and the institution's heavy reliance on public dollars intended for grade schools. A recent audit also scrutinized Academica's integral role in the college's creation, noting the for-profit company already reaps millions in management fees from Miami-Dade's publicly funded charter schools and now stands to benefit from students' college education. In fact, Doral College only currently teaches high schoolers. For now, there aren't any college students actually attending Doral College. The institution is licensed to provide a bachelor's degree — potentially opening it to tuition-paying outsiders — but Flores said the college has focused solely on high schoolers while trying to earn accreditation through the Southern Association of Colleges and Schools, which can take years. A representative for the school told Gawker that 22 high school students received a concurrent associate degree this year, though—again—it comes from a school without accreditation. 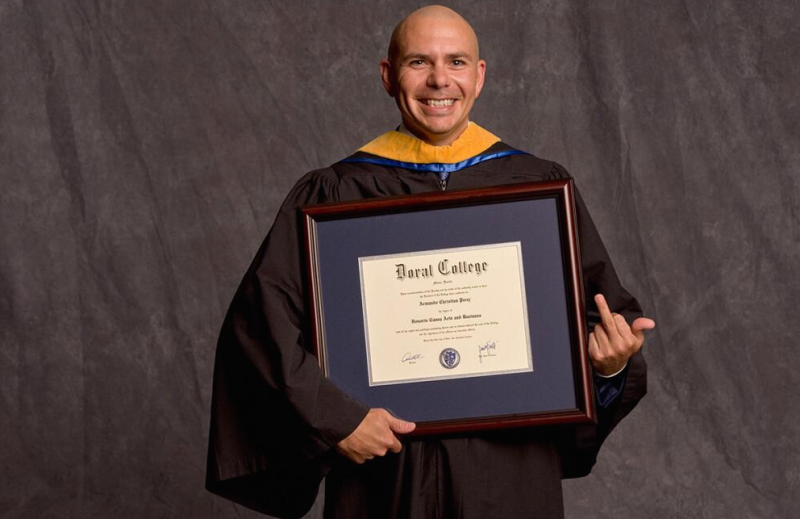 That puts Pitbull comfortably within the first 25 people to ever (fake) graduate from Doral College. Dale!